Feiwel & Friends, 9781250094261, 320pp. The wood is poisoned, changing into something more sinister. Once brightly colored leaves are now bubbling inky black. Vicious creatures that live in the shadows are becoming bolder, torturing lost travelers. Winter must now put her trust in Henry—a young man from eighteenth century England who knows more than he should about the wood—in order to find the truth and those they've lost. Chelsea Bobulski is a graduate of The Ohio State University with a degree in history. Although she grew up in Columbus, Ohio, with a possibly magical wood behind her house, she now lives in northwest Ohio with her husband, daughter, and dog. 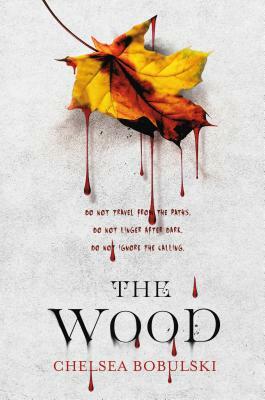 Chelsea is the author of The Wood.